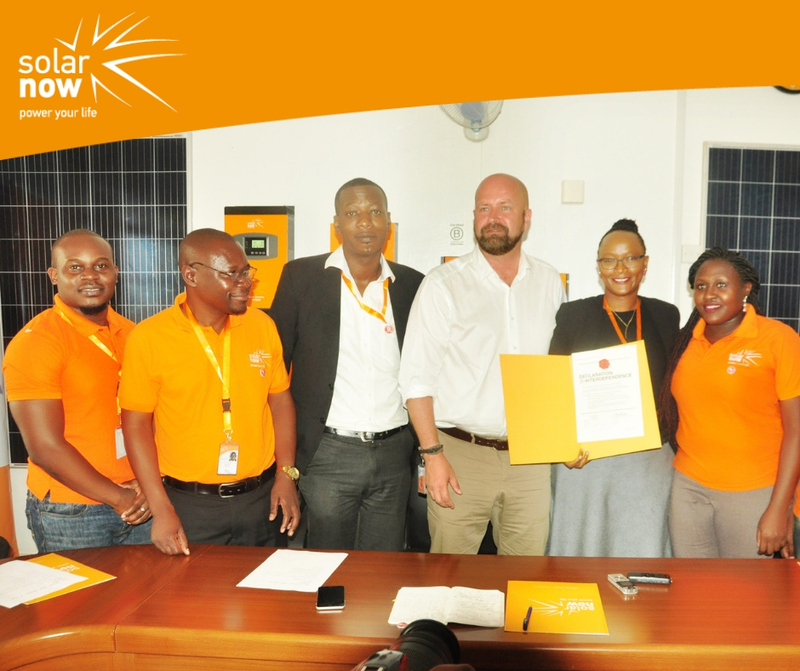 Congratulations to SolarNow, we have done it! We received Certification as a B Corporation. The Certification was delivered by Ms. Olivia Muiru – Executive Director B-Lab East Africa the certifying body for B Corporations in East Africa. B Lab is a non-profit organization that focuses on building a global community of businesses that meet the highest standards of social and environmental performance, public transparency and legal accountability. The B Corp community works toward reduced inequality, lower levels of poverty, a healthier environment, stronger communities, and the creation of more high quality jobs with dignity and purpose. By harnessing the power of business, B Corps use profits and growth as a means to a greater end: positive impact for their employees, communities, and the environment. We’re joining more than 2,500 B Corps in around 150 industries around the world. We at SolarNow use professional and personal skills to improve the lives of our communities, our clients and our colleagues. Through our service to others, our commitment to integrity and kindness, we intend to better the lives of those we touch directly. Indirectly, we strive to be a positive force in the global community. The B Corporation certification helps us better assess how our core values are aligned with our daily operations and where to improve. On behalf of all SolarNow and its members, congratulations on this fantastic achievement!